Robotic solutions for image guided interventional procedures like biopsy, drug delivery, ablation, drainage, fine needle aspiration and pain management. Tailored solutions built upon our modular image management, flexible workflow, visualization and cloud imaging platform. 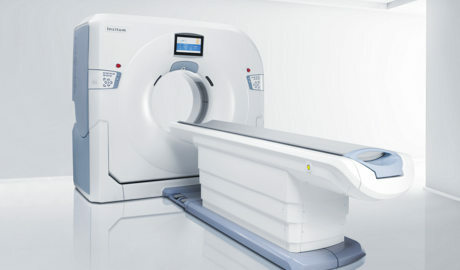 It's designed to support the wide variety of patients and applications. Focus on —doctor and patient experience, dose efficiency, quality image, ease of workflow, and long-term investment value. 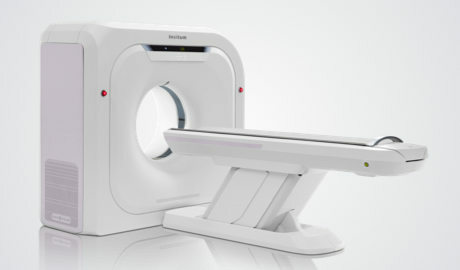 The innovative integrated robotic image navigation system of large-bore CT series makes the interventional therapy guided by radiological imaging more precise, intelligent and convenient. SinoVision offers comprehensive IT solutions and remote cloud imaging services, includes workstation and PACS solutions supporting clinical workflow and enhanced productivity across medical imaging and diagnostics.